Sharing my Lifestyle | Travels | Reviews | Thoughts | Our bella world! 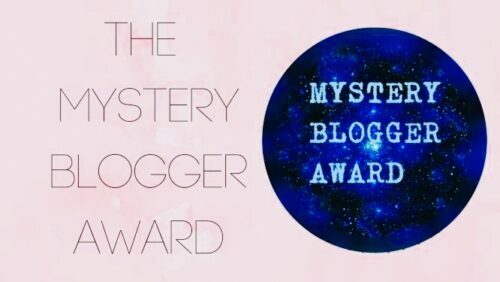 I have been nominated the Mystery Blogger Award by the awesome and most supportive blogger ever, Melissa. You can find her here and read all about her. I’m so honored to be recognized by my blogging abilities and so grateful that people actually enjoy visiting my blog. How awesome is it to do what you love, which for me is writing, and to have people appreciate your efforts! Its hell amazing if you ask me! You can find more info about the creator here. Thank you so much to Melissa from Lucky 4 Writing, for the nomination. You are such a great supporter and I’m so happy to have met you. Okay, not in person but through our blogging community. I love when bloggers support other bloggers. It is so humbling when others who have the same passion as you, also root for you and applaud you. It’s such a great feeling and leaves you with such positive vibes that you want to return the favor onto other bloggers! 3 Thank whoever nominated you and provide a link to their blog. Being together forever with one person has its challenges. You have many ups and you have many downs. There is no perfect relationship no matter what anyone says, but through many years of trials and tribulations, love still wins. It really does conquer all. If you truly love each other. You learn to forgive and if you’re meant to be, then no matter what obstacles life throws at you. It doesn’t make you weaker, it makes you stronger! I say never give up on the love of your life! 2 When I was just a little baby of a couple of months old, my biological mother left me. I was told that she was very young and I’m guessing the only way to solve the problem of her having a child so young, is to abandon it. When I found out at the age of 17, I was angry and hurt and was in shock. It was such a sad part of my life. That being said, I have 3 children of my own. Even though they are adult children, I am a very overprotective mother. I know at times I can get a little carried away, but hey isn’t that what a good parent does? 3 My greatest joy in life is you guessed it, writing! I have been writing since I was 12. It started with writing in my diary, then writing poetry and then on to short stories. My imagination can entertain me for hours! I think as writers yourselves, we are all in the same boat! What is your hidden talent? – I love love to sing! People who know me can vouch for that. I sing out loud at work, in washroom stalls, in stairwells, in the shower, everywhere. What is your favorite music genre and who is your favorite artist/band? – I have many favorite artists. I love music. I can’t live without music. As I write this, I’m listening to Kenny G. When I put him on, my family knows that I’m either writing or in la la land. I love him. Who are your favorite actor and actress? – There are so many talented actor/actresses out there that I really can’t choose one. As long as they are vibrant and captivating then I will watch their show/movie. If you could spend a day in someone else’s shoes, who would it be? I would love to be Oprah Winfrey. Who doesn’t? She is intelligent, funny, compassionate, famous and speaks with clarity and conviction. She holds people’s attention. She must have amazing stories from every aspect of life and I find her so inspiring and motivating! If you could win an Olympic medal for any sport, real or fake, what would it be? – I think the world’s fastest skier. Can you imagine skiing down suicide hill with such breeze, finesse, and speed? I think it would be such a high! Also, I’m scared to death about skiing down a mountain, so maybe that’s why I picked being a skier. What was the happiest moment you remember? Why is your best friend, your best friend? If you could be a food what would you be? I have been having an amazing time blogging and the best part is being recognized for my work. I cannot say enough thank you’s to the people who visit my blog and leave me their footprints in my comments. I really do appreciate it. My most favorite 3 posts are; The Versatile Blogger Award because being recognized by the blogging community for having a great blog is totally humbling and downright awesome! Next has to be; Best Day Ever, Cuba Si! I loved writing this post and going back and re-reading it, I was so happy writing it and going down memory lane. My husband took me to Cuba for my birthday milestone celebration and we absolutely had a great time! This post makes me oh so happy! 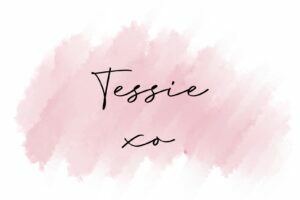 My 3rd favorite blog post is 33 Things About Me, I thought if my audience wanted to know more about the writer behind this blog, it would make sense to write about yours truly, ME! I hoped you enjoyed reading this post, as much as I enjoyed writing it! Thank you so much again, Melissa, you are such a pusher for supporting other bloggers and I so love that about you! Congrats to all the Mystery Blogger Award winners! Congratulations Tessie on the Mystery Blogger Award! I always love to read about bloggers in award posts. I cannot believe you were in high school in 1983 (I think we could be around the same age??) !! You look like you are in your 20s! Seriously, how is this possible?? So sweet to have met your husband in high school, sounds like a fairy tale come true! I agree with you on Oprah, it would be so interesting to be her for just one day! OK, I’ve got to tell you how much I love your hair! It is SO beautiful on you. I am Asian and have been keeping up the blonde highlights for a while, but it is quite the pain to maintain–but I love going lighter! Hey there Trace! Thanks so much for commenting. LOL you kill me, ummm don’t spill the beans about our age, of course, I’m in my late 20’s!Shhhhh! It is pretty crazy that I’ve known my husband since the 80’s right?! My hair! Thanks for saying that, I damn well love my hair and yes it’s quite tedious to always make sure its the perfect blonde, I’m very picky and my colorist stresses a little bit, every time I come into the salon, LOL. Thanks again for coming by, I hope to see you back here again! ps. Can you please make room for me in your rickety old suitcase!! I promise to not take too much room. You have traveled everywhere and that is my wish. I love traveling! One day I will get there. Congratulations on the nomination! This is such a great idea. I love that we got to know you on a personal level, and that you can support your friends through nomination. Thank you for sharing!